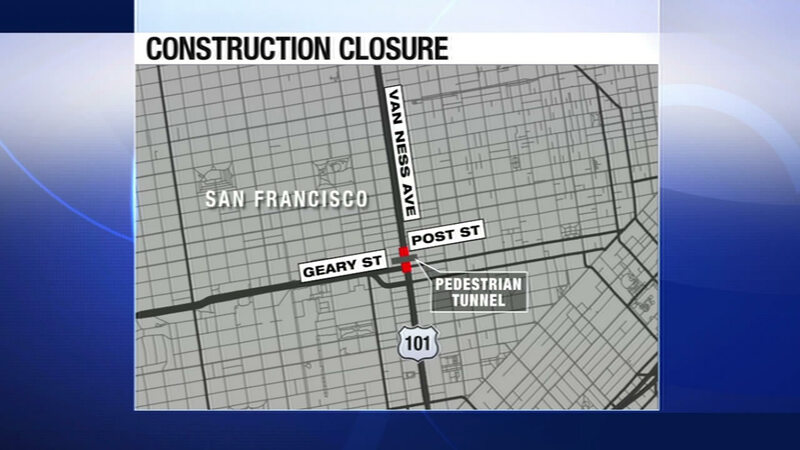 SAN FRANCISCO (KGO) -- This weekend is the last full closure of Van Ness Avenue for construction of an underground pedestrian tunnel. The closure started early Friday morning and goes through Sunday night. The road will be closed between Post and Geary. Once complete, the tunnel will connect California Pacific Medical Center's future hospital with its medical office building across the street. It will be the first pedestrian tunnel under Van Ness in San Francisco history.